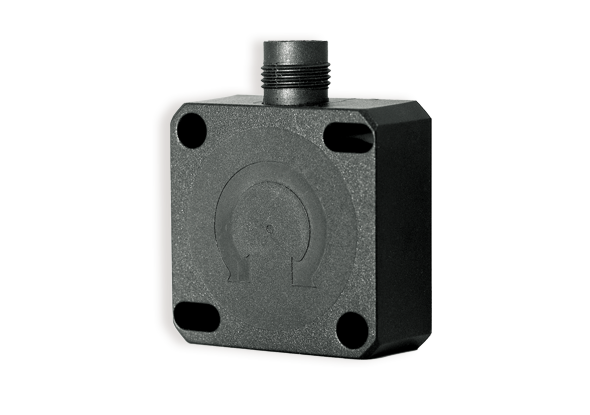 The QR series of rotary encoders from DIS Sensors enable contact-free measurement of an angular displacement from 0° to 360° without a mechanical stop. The QR30 series is available as absolute or incremental rotary encoders. An absolute rotary encoder contains an analog output which is linear with the angle of rotation, up to 360°. After switching on the power the sensor knows directly in which position it is located. 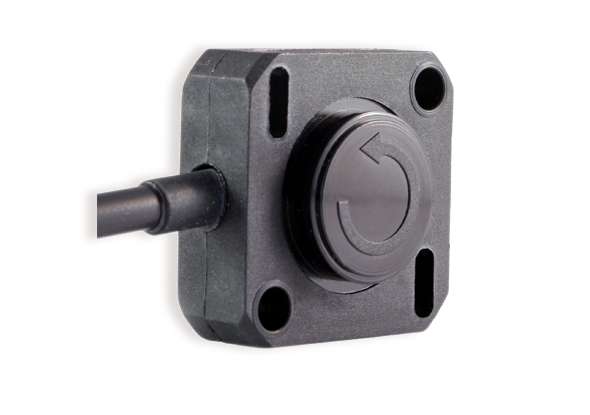 An incremental encoder is specially suitable for rotational velocity of a shaft. The output of the sensor consists of pulses (A and B). The number of pulses per revolution can be between 32 and 1024. On the basis of the phase shift between the A and B signal can be determined if the shaft rotates clockwise or counterclockwise.